It’s a habit. It’s ingrained in our culture. But, handwashing can actually save the lives of millions of children and newborns each year. Your own health is due, in part, to this simple action. Every time your mother, father, or teacher told you to wash your hands, they were encouraging a hygiene habit that many people still don’t have the knowledge to practice. In the developing world (particularly rural areas) there is little awareness to practice this life-saving habit, and many don’t have the clean water needed to wash their hands effectively. Illnesses like diarrhea and pneumonia claim an estimated 2.25 million lives each year, fill up hospital beds, decrease household incomes, and keep children from getting an education. Global Handwashing Day was started by the Global Handwashing Partnership in 2008, and has since been celebrated by over 100 countries. The goal is to spread the word about the state of handwashing around the world, and raise awareness about the benefits of handwashing with soap. The fact is: where people wash their hands, they flourish. Since Lifewater’s Vision of a Healthy Village approach launched in 2016, water access, sanitation and hygiene (WASH) have played a vital role in ensuring improved health for remote villages. Handwashing is a key part of the hygiene training and behavioral change strategy. A Cambodian woman washes her hands with her new “tippy tap” handwashing device. Staff work house by house to teach simple yet life-saving healthy habits to families who have never had access to this information. Keeping the area around the home swept and free of rubbish. 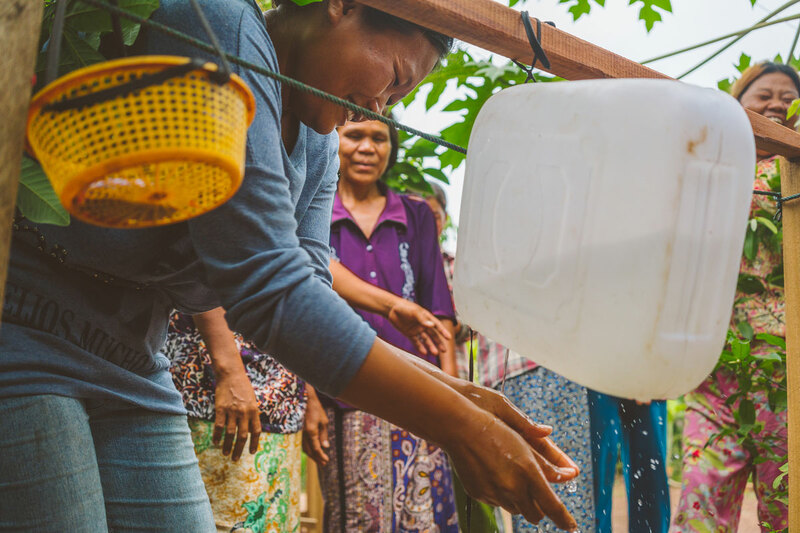 In every village water project, local influencers trained by Lifewater staff visit every household and teach them how to make a “tippy tap,” a simple handwashing device. 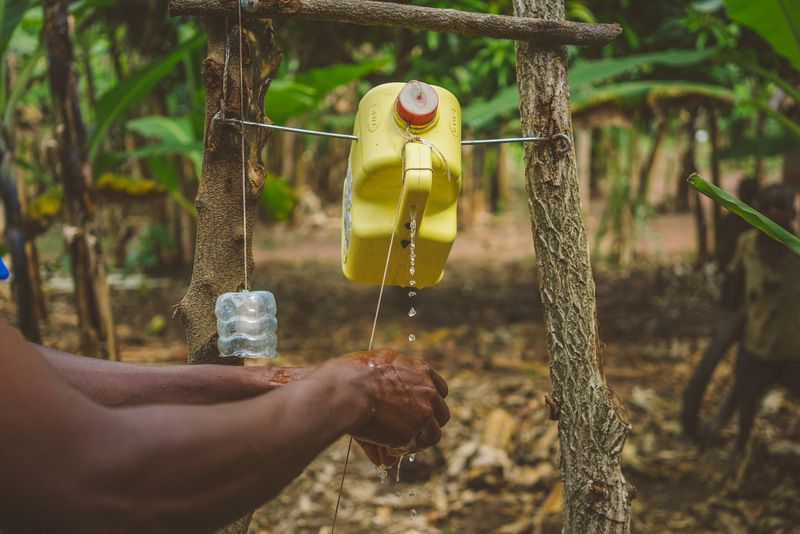 With twine or string, soap, and a clean container in which to store the water, families are able to wash their hands at critical parts of their day, like after using the bathroom or handling cattle. A man washes his hands at a tippy-tap. Megene is an Ethiopian woman whose health was recently transformed by health habits. Before her village started washing their hands, they were exposed to painful, debilitating bouts of sickness. Megene learned how to construct her own tippy tap handwashing device, and she and her five children are much healthier. “Now, I am free from feeling of shame, disgust and fear,” she said. In addition to experiencing improved health, Megene’s village partnered with Lifewater to construct their own safe water source. Today, she knows that safe water can only be fully realized with consistent sanitation and hygiene habits in her home. With the combination of safe water and WASH practices, everyone can realize a more full understanding of their own dignity and health.